Chairs, chairs and more chairs! 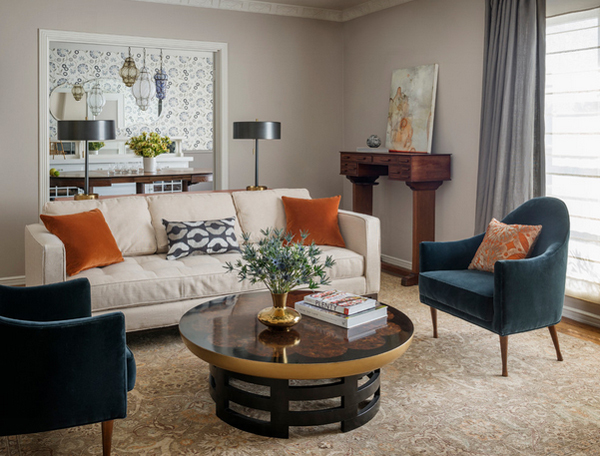 Today, we will be showing you a couple of living room set up that will showcase fun and contemporary upholstered chairs that might interest you. We usually create lists of awesome chairs, but today we will be showing you awesome chairs in the living room. 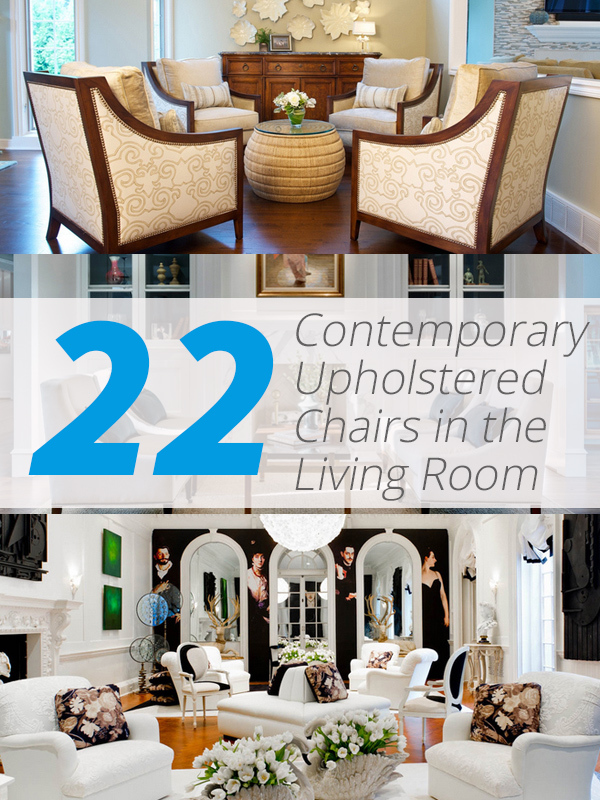 Be ready because we will be showing you 22 Contemporary Upholstered Chairs in the Living Room! These chairs range in different colors, designers, material and configurations! 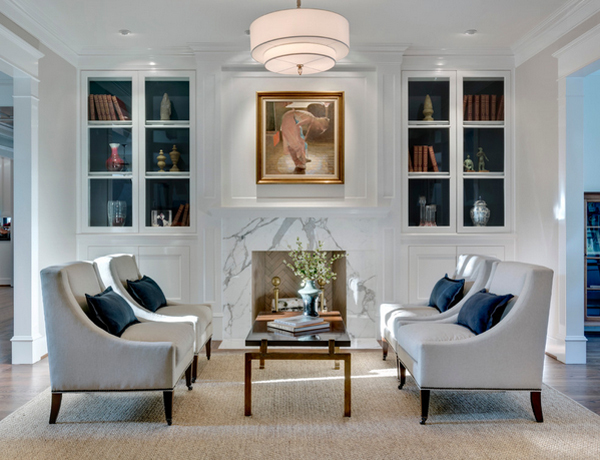 The design of the chairs in this list may seem familiar because some were featured here in Home Design Lover or is actually popular in the internet, check it out! 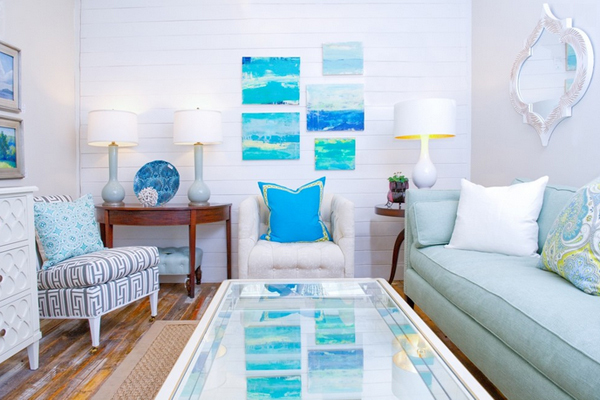 Combination of plain and printed chairs and sofa – this is one cute beach-inspired living room. 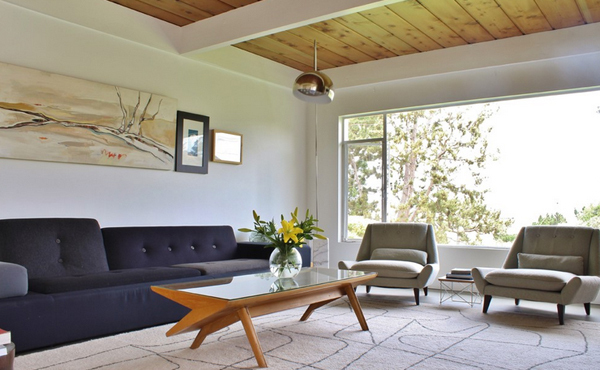 The color palette of this space is quite refreshing, don’t you just think so? 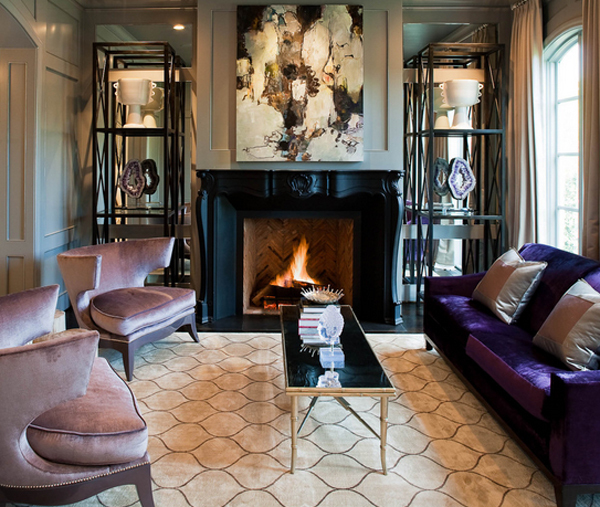 Leather or something related to leather is used in these upholstered chairs; the cowhide carpet makes this space more defined. Bluish-green chairs complement this black and white living room. The cute chairs on the left is pretty cute along with the center table. 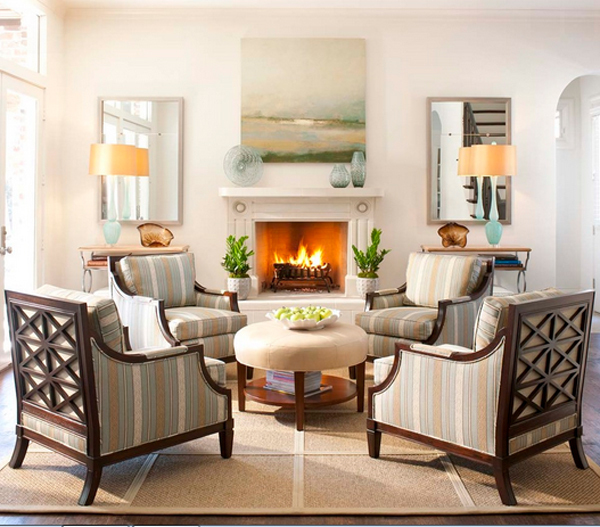 Traditional upholstered striped chairs contrast the ottoman-coffee table which is plain. 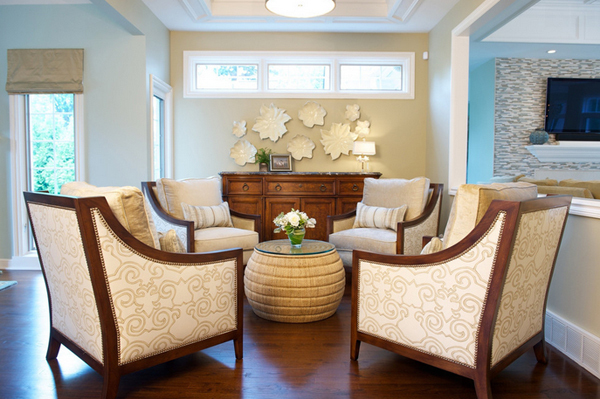 Four white comfy traditional chairs surround this circular coffee table. Accenting the chairs are four Leopard printed pillows. Seating arrangements like these seem ideal as secondary living spaces because it sure looks like only four people will fit in here! Get me a sofa! 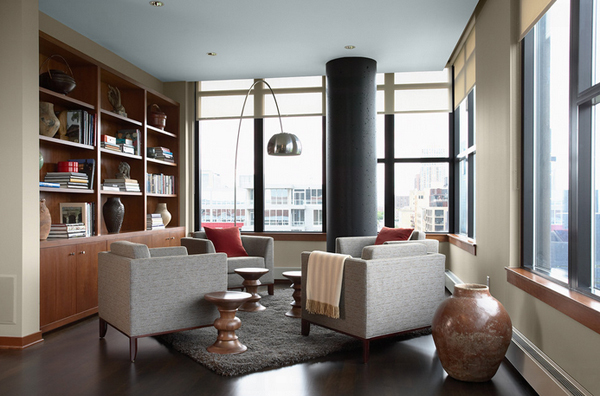 The blue upholstered chairs adds a bit of color in this living room. 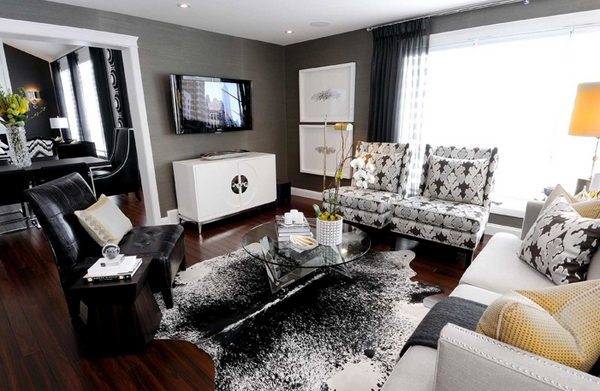 One leather black chair adjacent one plain white sofa and two printed upholstered chairs look great atop the area carpet. 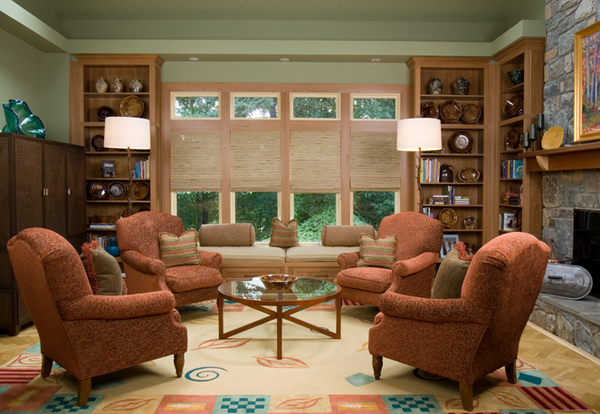 The chairs in this living room have wooden back rests and upholstered seating. Pretty contemporary designer chairs. 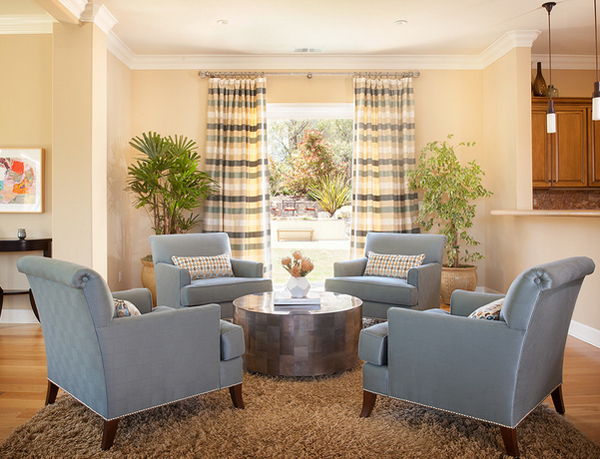 Larger seating than regular chairs is available in this living room – pretty awesome right? 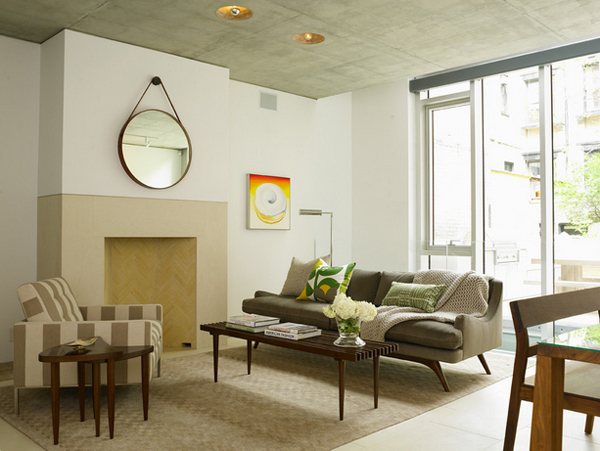 Neutral-colored living room with similar color palette for the upholstered chairs; awesome box-looking coffee table. 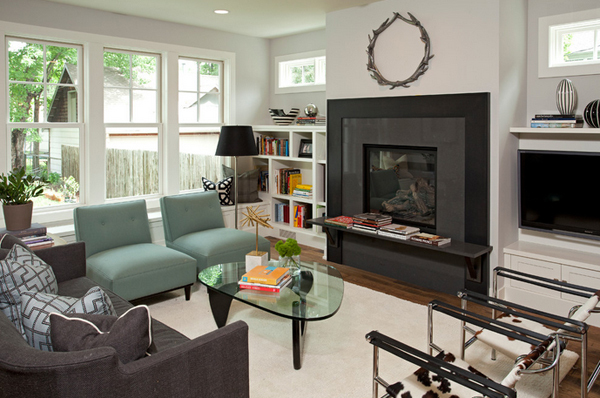 Grey chairs that is surrounded with a cool bookcase and cute side tables beside each chair. 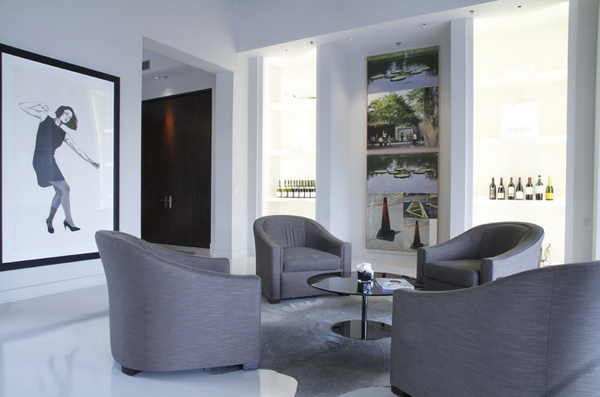 Another set of grayish chairs in a penthouse in Montreal. 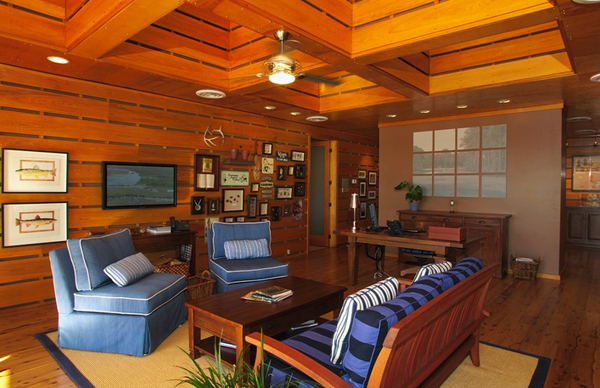 Pretty fancy wood cabin right? Blue chairs in a wooden living space! Quite dig the wall with awesome frames in it! This is one large living area in New York! The grand look and feel to it sure looks expensive and really glamorous! 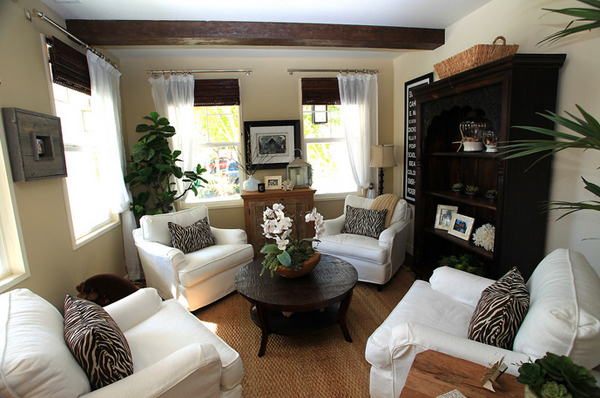 This traditional living room is one simple space that looks great for tea and chatting with friends or relatives! Seating for four please! This is indeed what you can suburban bliss! Look at the cute and fun red comfy chairs from Debbie Wiener! Love the area carpet too! It has a fun and colorful design that just looks awesome for this space! 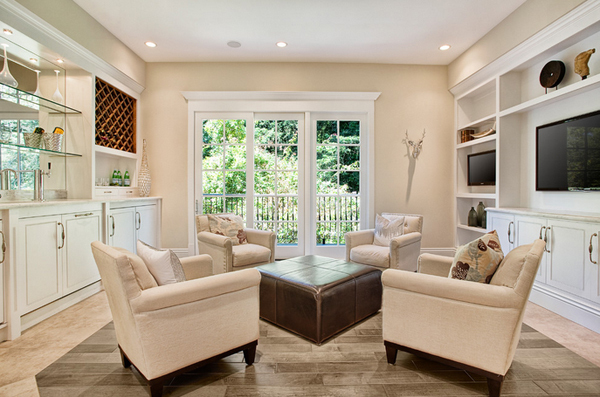 Looking at the arrangement of the chairs in this living space, you know that it was designed for talking! It may not seem too clear in this angle, but the striped chair sure looks great against the plain wall. Look at the expensive looking chairs with awesome backrests! This list is pretty awesome right? It is quite fun because of how much familiarity I already has for these chairs – I’m not a furniture designer but these chairs sure makes my day better because they are just so pretty and fun! They sure made the living room spaces more crazy awesome! Some chairs can be lovely accents in the living room too! Check them out!